Tomorrow is TEASEDAY and we’re ready to WOW you with another one……………AND it’s a Guest Teaser (don’t you just LOVE those?! )…….one of my buddies sent in a photo to try and STUMP you so that means of course you have to be extra prepared for tomorrow. You don’t want someone you KNOW to pull the wool over your eyes right? Tomorrow at a SECRET time, up will pop your photo of the week and you will have a chance to get one of my fabulous badges (I’m thinking of updating them again by the way). You could get one of these if you’re up to snuff!! I was RIGHT on the Teaser of 10/10/17but I was NOT First! 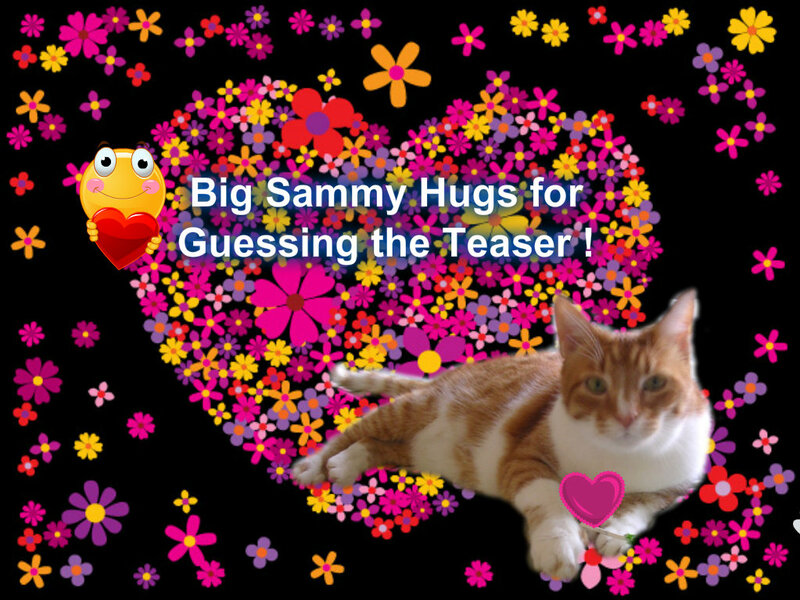 So you’d better do some studying today – I know it’s the first day of Spring and you’d probably rather be outside playing in the grass, or maybe taking a nap, or eating something yummy but instead I suggest you prepare for TEASING………..
You heard what Sammy said – BE READY! HUGS, THE TEASER GUY WITH THE GINGER FURS!! Hello Teaser Lovers (and Haters…haha! )…………….it’s that time again. Polish your glasses (get all that blood, sweat and tears washed off that has accumulated since LAST Tuesday) and get ready to figure these two photos out. 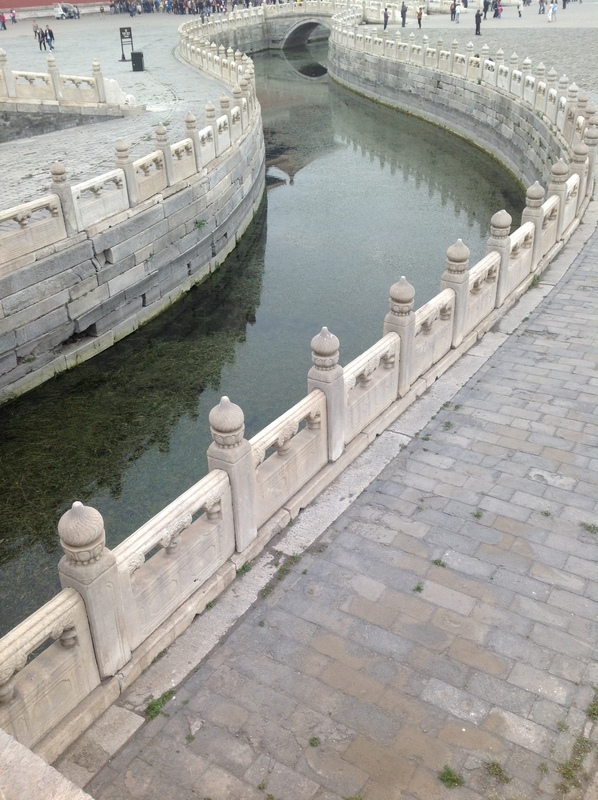 Mom and Dad were on a trip – Mom snapped lots of shots of this pretty area and as you can see, Dad insisted that he be allowed to show off his cute dimpled knees in one of the photos. HAHAHA Mom tried to find anything that could be a “clue” in these photos but couldn’t. Then again she can’t see all that well herself so who knows – maybe YOU will find something SHE couldn’t that will give you the location where the pictures were taken. For the FIRST to guess right! For the clueless or wrong guesses! So, get those keyboard warmed up and send in your guess right away…………..being first is a BIG deal (if the comments are to be believed anyway!!!) so go for it! You don’t want to be like this because you didn’t throw your hat in the ring with a guess!!! The “I Guessed RIGHT!” award……! Even if you didn’t guess right you STILL get a blog badge because – well – just BECAUSE !!!!!!!! Are you a FAN of my Tuesday Teaser??? Are ya???? Huh?????? Well maybe you’d like to put this swell and beautifully designed blog badge on your sidebar – you know – just because you adore me as much as I adore you! Send those guesses in for the Teaser – you only have TODAY – because tomorrow is the TEASER TELL ALL and you don’t want to miss the boat (or plane, or raft, or train, or wagon, or….well you know what I mean!!). SEE YOU TOMORROW – HAPPY TUESDAY! Pee Ess……….did you know it was Merlin’s birthday October 2nd?? He’ll be 19 years old so stop by and wish him a Happy Birthday at Cat Wisdom 101 ! It’s that time again! Already! And of course if you’re RIGHT but not FIRST you get this! Tomorrow we’ll have the Teaser Tell All and it will be in video form which is always fun when we have a guest who does that for us…..YAY……. 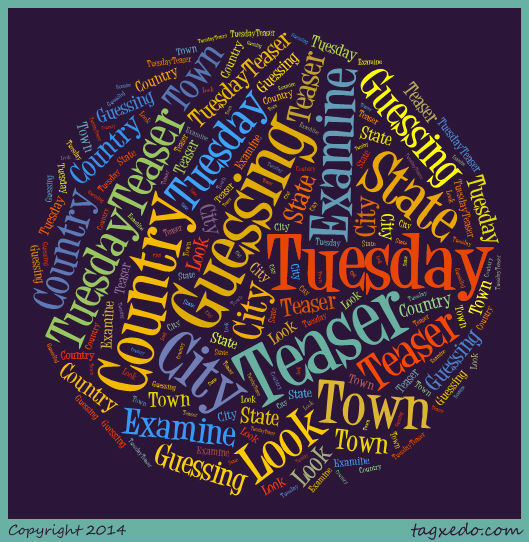 HAVE A SUPER TEASER TUESDAY! Hi Everybody! Well, as usual many of you were just too smart for me here in the TEASER CONTROL ROOM…….because a bunch of you guessed right and a bunch of you almost guessed right on the Teaser! 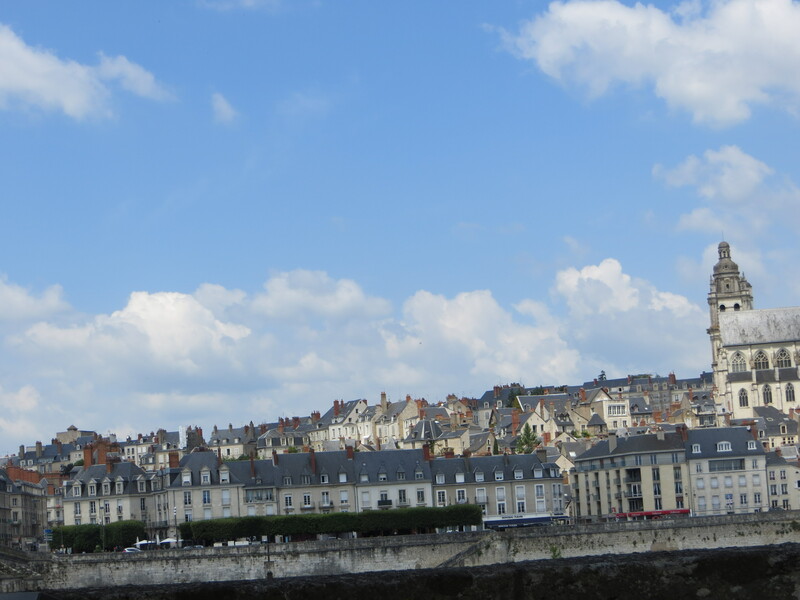 But that’s not all……….because a whole bunch of you said the photos were taken in France so you get special mention (and a hug too) because you were clever enough to figure that much out! Those lucky people were Austin, Miss Trish, Miss Pix, Cody, Savannah, and Charlie Rascal !! 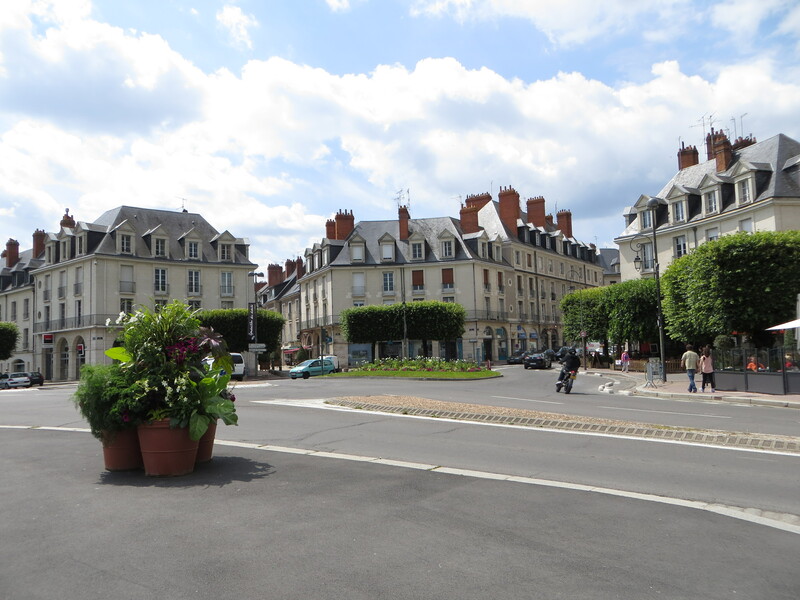 So I’d say this was a super good Teaser and I hope you’ll all join me in thanking Miss Dianda for sharing pictures of her beautiful vacation in Blois, France. What else is going on in my world? Oh it’s always SOMETHING isn’t it? We all continue the process of getting the word out that our buddy Leo is house-hunting – looking for a family in California that he can call his very own. His fostering situation with Savannah and her family needs to come to an end because he and Savannah aren’t quite seeing eye to eye (! 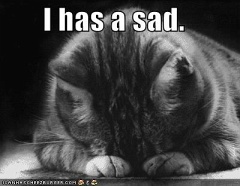 )…..her family had hoped they could keep Leo but it’s time for Leo to move on. 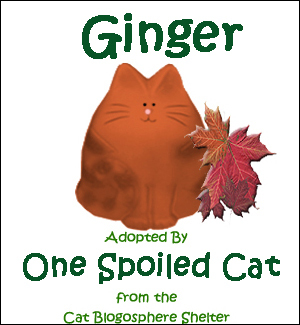 I’ve added a badge to my sidebar that links to Savannah’s blog and I’ve put the word out far and side so the more people who know Leo’s ready to be adopted the better. If you can help – if you know someone in California – please spread the word. Leo’s going to make someone a FINE kitty family member! I hope all my Canadian friends had a pawsome Canada Day and I’m looking forward to tomorrow here with our Independence Day celebration. The one thing I don’t look forward to is fireworks because they’re quite scary to hear when normally my neighborhood is NICE AND QUIET. But some of our neighbors like to do fireworks in their yard and I admit I’m not a fan. Oh well…..everybody should celebrate in their own way right? I will celebrate like this! WOO WOO! It’s that time again………seems like Tuesdays roll around pretty quickly these days don’t you think? Or is it just that I get excited to try and stump you by making you put your thinking caps on and grabbing your Atlas to try and find WHERE these pictures that I post are being taken????? WHATEVER – it’s fun right? So this week we have a Guest Teaser just like I told you……..and our Guest was on a vacation and took lots of photos where they visited including these three. 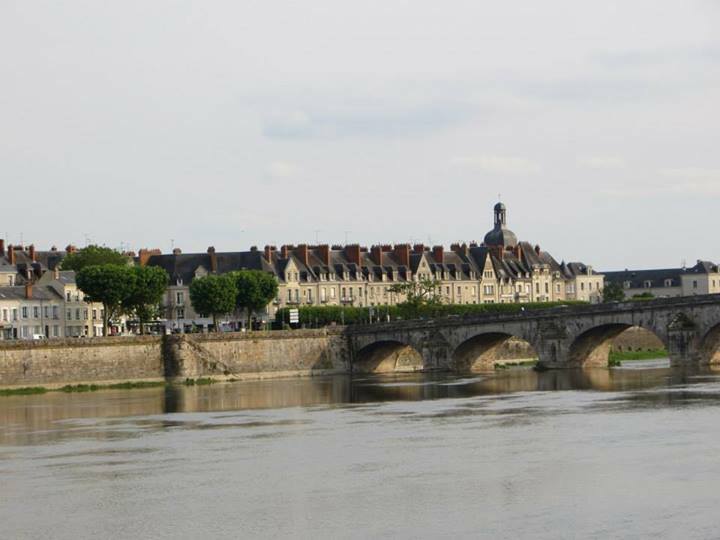 Yes they were taken in the same town – but WHERE was the town and what was the NAME of the town???? That’s your mission should you accept it…..and in order to win hugs you have to be right and specific. What TOWN and where is the TOWN???? One of you guessers – whoever is FIRST with the right answer gets YOU KNOW WHAT! Everyone else who guesses the right spot gets YOU KNOW WHAT ELSE! So here’s the photos from our awesome Guest Teaser……………..
GOOD LUCK TEASER BUDDIES !! 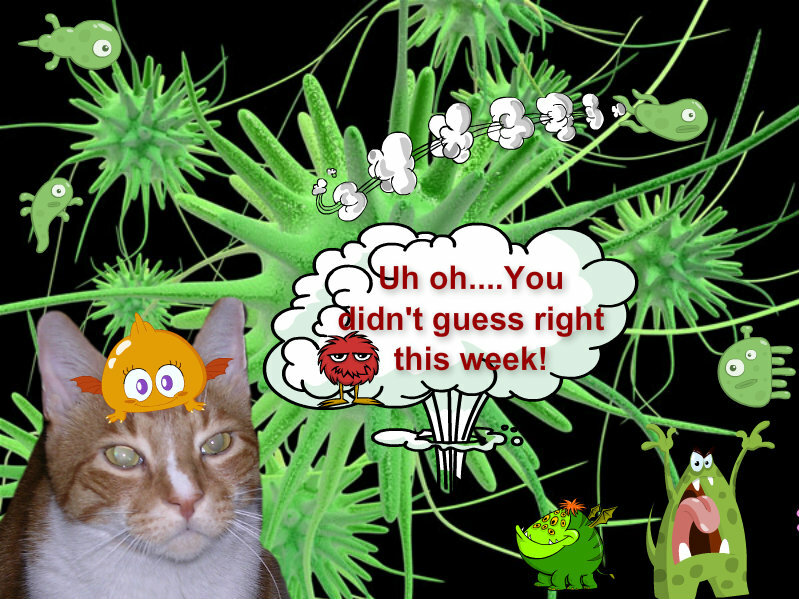 Tomorrow the “Tell All” will indeed tell all……..and we’ll see who the winners are and hand out the appropriate accolades (gee Mom, I used a big word in my bloggy!). As if that wasn’t enough excitement on a Tuesday, I have to tell you that my good buddy Nerissa kindly gave me TWO awards! TWO………and I’m very lucky to get them especially since I have neither of them already. Wanna know what they are? WHY SURE YOU DO! 1. Bow for your Purrime Ministerettes and confirm on your blog you have done so. 2. Show a picture of you watching Purrime Ministerette movies. Pictures or it didn’t happen. 3. Tell Planet Purrth that it needs a change and explain what kind of change you have in mind. 4. Ask your Purrime Ministerettes what you never dared to ask before. 5. Bow again for your purrime Ministerettes and confirm on your blog you have done so. 6. 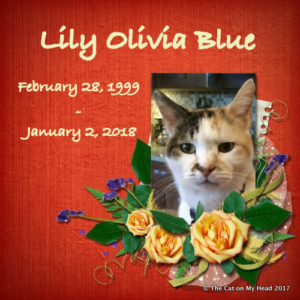 Forward the Purrime Ministerette of Planet purrth Award to at least 3 other blogging anipals. 7. Do not change the rules without explicit written Purrime Ministerette purrmission. See what I mean? The first thing I said (and Nissy kind of said too when HE got it) was “HUH” ?????? And #7 trust me – I wouldn’t DREAM of changing the rules so no worries there…..besides I don’t understand the rules so how can I change them?????? Secondly, Nissy gave me a brand new award…..this one he created because he’s celebrating the AWESOME fact that he reached 50,000 hits on his blog – an incredible number right? Right! Hence the creation of the MY FAVORITE THINGS AWARD. The rules for this one are super easy…………. (I like awards I can figure out – don’t we all??). All I have to do is thank the blogger who nominated me (Nissy of course and THANK YOU MY GOOD FRIEND for the award!!). Link to them which I’m doing RIGHT HERE, and tell what my six favorite things are then pass it on to whoever I want to! Who will I pass this on to? 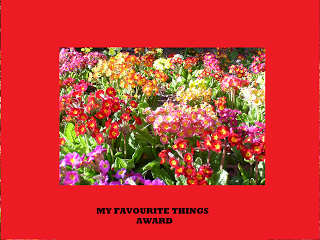 Since I could go on and on and on and on listing friends, and this blog which is already long would be impossibly long – please my dear friends, if you would like to take this award and comply with the rules and pass it on to your friends in the blogosphere, please do! 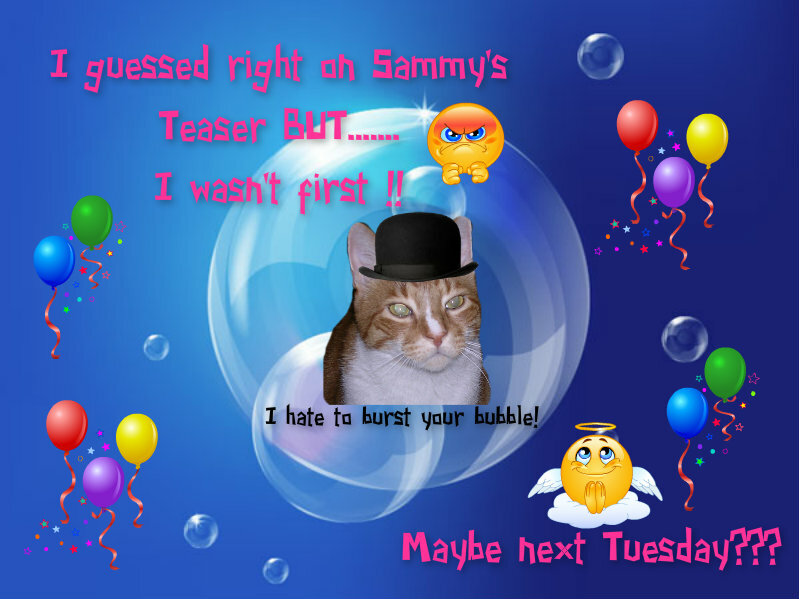 AND LAST BUT NOT LEAST – HAPPY TUESDAY AND SEE YOU TOMORROW FOR THE TEASER TELL ALL WHICH WILL BE POSTED AT THE REGULAR TIME OF 3AM EASTERN STANDARD TIME! WOO WOO (again). Hello Savvy Travelers and Excellent Photo Examiners of the World!!!!! What’s that mean you may ask? 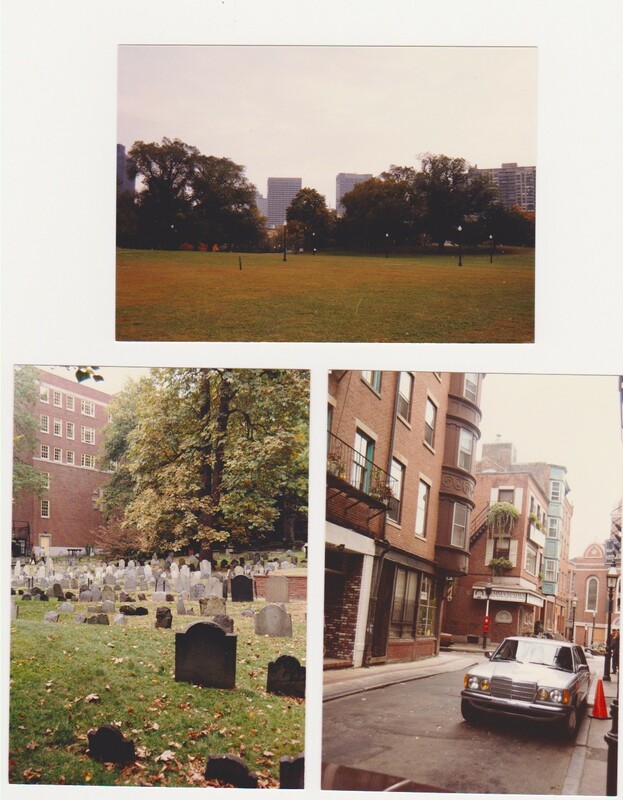 Well, what it means is that TONS of you knew the Teaser photos were taken in none other than Boston, Massachusetts. Yep – they were. I tried to throw some of you off who said Mamma Maria’s gave you the clue because (frankly) I found Mamma Marias all over the place in lots of cities but I think the surroundings gave it away. Plus in conjunction with the cemetery (which many of you had seen before) and VOILA – lots of RIGHT guessers. 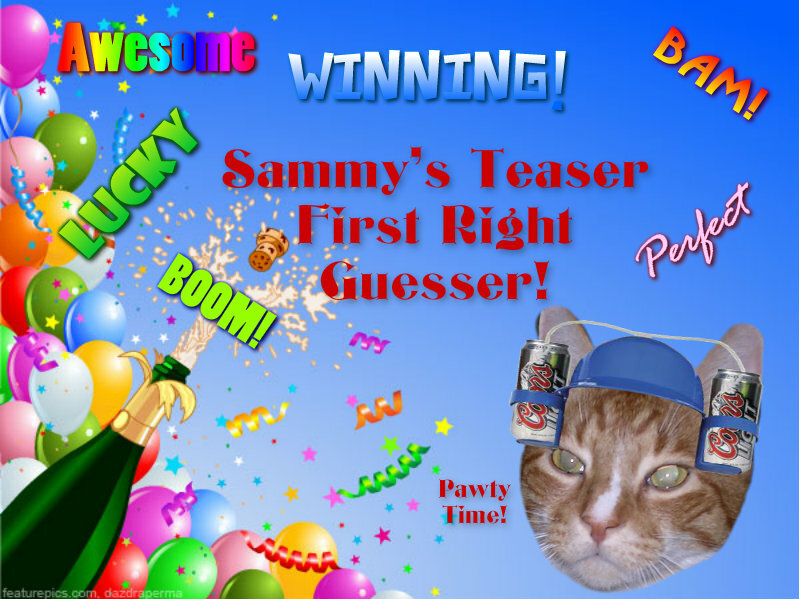 However, there was only one “FIRST RIGHT GUESSER” and right after I show you the photos again, you’ll find out WHO that was! Who was the FIRST to guess Boston? None other than the ever lovely, ever super detective, ever EVERYTHING, Easy the Weimaraner! (can you hear the applause???) So this is for you buddy and you now have TWO of these! Princess Zena, Hailey & Zaphod, Texas, Gizmo, Sushi, Mollie, Misaki, Isobel, Boomdeeadda, Savannah, Doggy, Austin, Remy, and KatsRUs…………………..WOW! Congratulations to all of you! Here’s your HUG! Woo Hoo! So many right guessers this week. Well, NEXT week we have a special Guest Teaser so while you skated by easily this week, maybe next week won’t be QUITE as easy! Hear that Easy?????? Did you have a chance yesterday to stop over at Mollie’s and wish her Mom Stella a HAPPY BIRTHDAY? I think she had a great day – partied and had fun – which is EXACTLY what she should have done. After all, birthdays are super special and Mollie’s Mom is super special to all of us right? Happy Wednesday Peeps – enjoy your day whatever you may do. Woo Woo!!! Yep you know what today is don’t you?! Tuesday Teaser time. Clean those computer screens because here we go again. 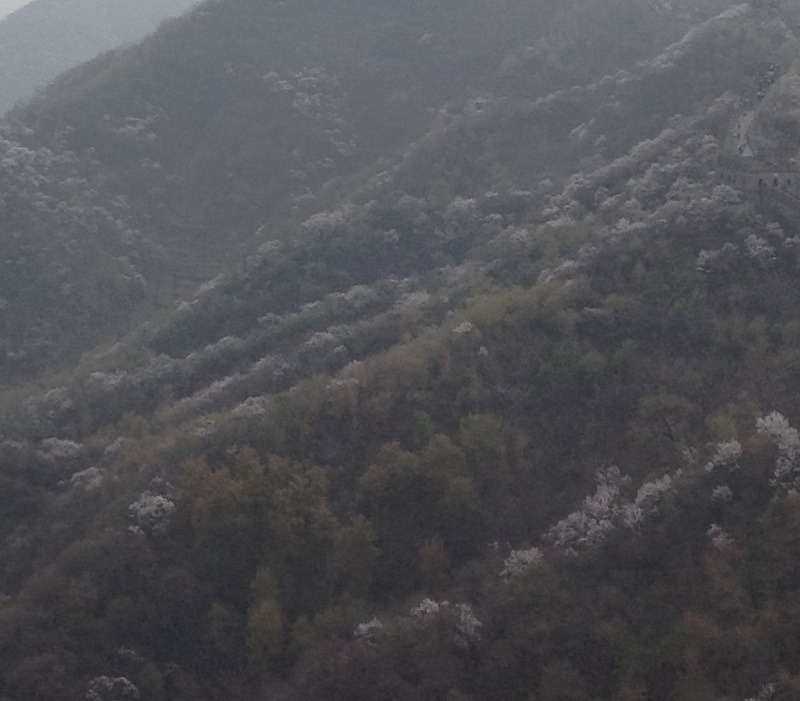 This time we have a group of THREE photos for you to inspect. These were all taken in ONE city on ONE trip. Yes there are clues – but I don’t think too many – maybe just enough. It’s up to you to decipher and inspect and come up with your best guess. You know there’s only ONE “first guess” winner but there are lots (usually) of “BIG SAMMY HUG” winners if you guess the right place. OK? Ready? Here we go. How’s that for excitement? Remember LAST week’s “First Guesser” was Ranger and the week before it was Easy…..are you all gonna let THEM duel it out between them or are you going to get in on the action HUH???????? 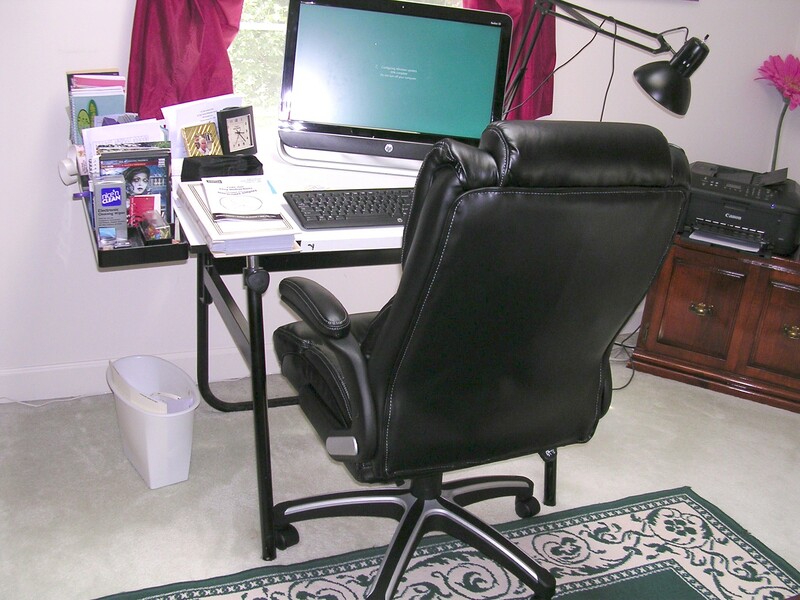 Now only that but my Mom finally FINALLY (yes I really mean at long last) bought a new desk chair to replace the drawing desk stool she’s been sitting on for YEARS and YEARS here in her office. She’s still using her drawing table as a desk (which is silly and she intends to get a REAL desk soon) but in the meantime, Dad talked her into getting a couple of really nice and comfy chairs for the office. 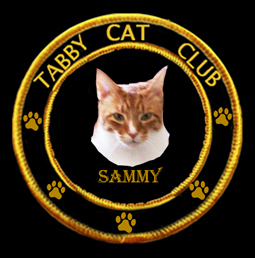 I have given them the Sammy Seal of Approval. Nice and squishy and comfy on the tushie! 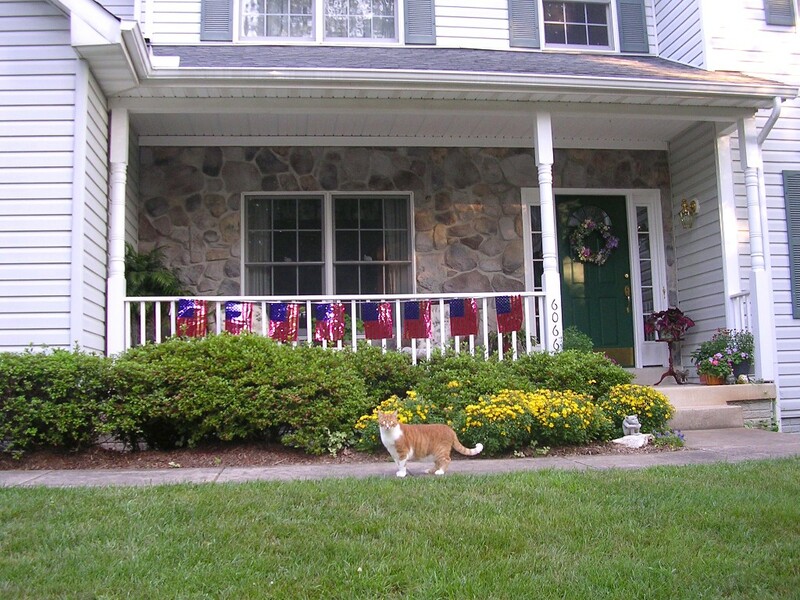 Gee – how much excitement can one old cat take huh? 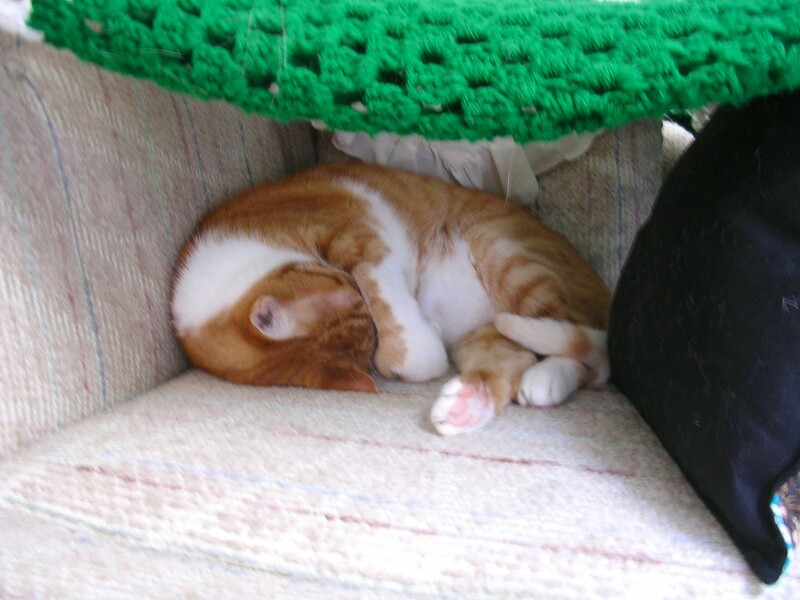 Well, now that I’ve put the Teaser into your capable hands, I’ll go curl up and take a nap. A guy needs his energy to get through the day you know! 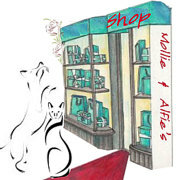 Pee Ess……….Today is Mollie and Alfie’s Mom’s birthday so PULEEZE stop by and wish her a Happy Happy one will you????? I’m SURE she’d appreciate that! Oh you guys!!!! 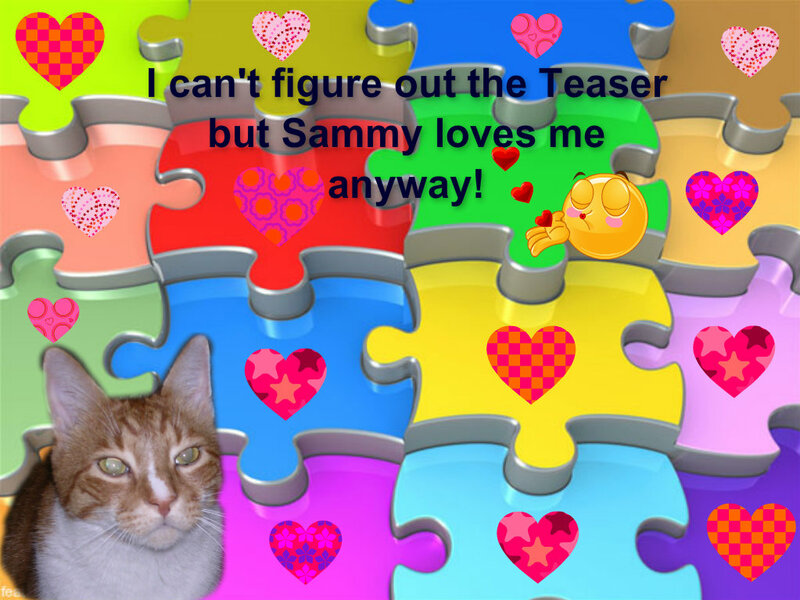 Goodness gracious you’re just so darn smart……………….although ONE “someone” always has to be the leader and some others seem to want to follow when it comes to the Teaser! I have to say this though, there was one person who said the right COUNTRY before anyone else but another who guessed the right CITY, COUNTRY AND PLACE……………….wanna see the photos one last time before I give you the scoop? 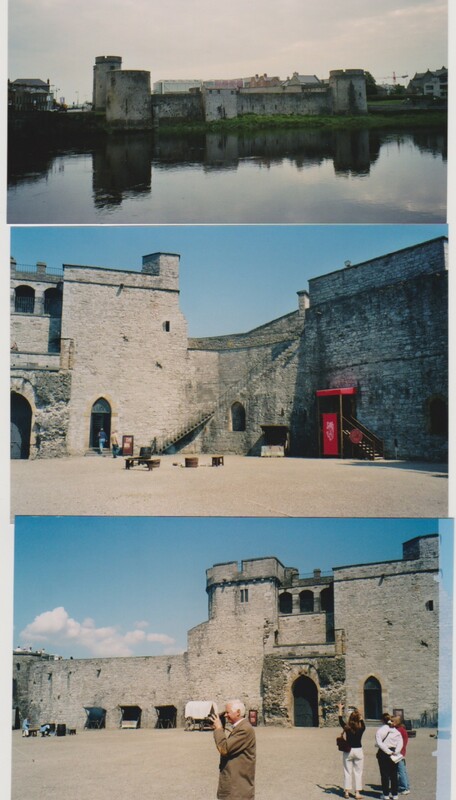 Mom and Dad were on a fabulous tour of Ireland and they stopped here, at the incredible St. John’s Castle in Limerick where they saw all the dungeons and dragons (oops – no dragons) and secret escape routes and turrets and hidden rooms and stuff and said they had a wonderful time. I would LOVE to wander around this place myself. Wonder what it was like when it was brand new back in the Twelfth Century? There were a lot of interesting guesses though. 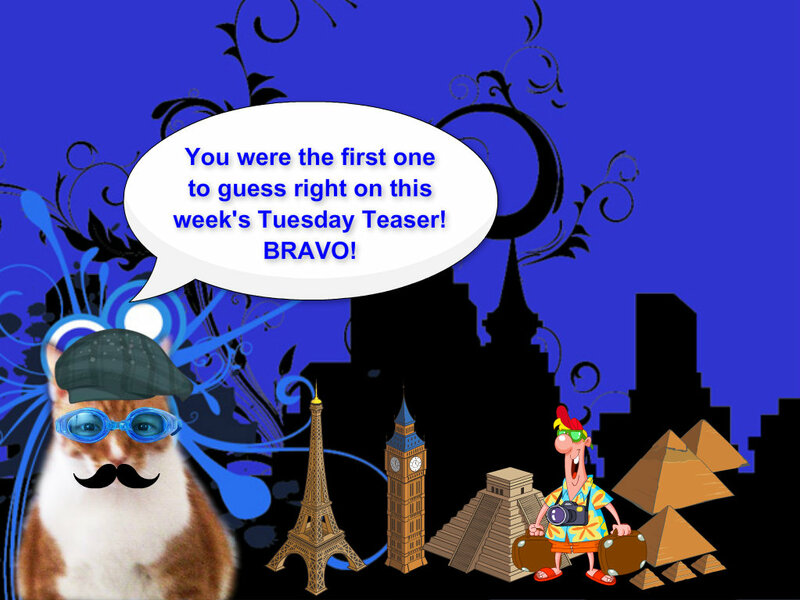 But again, we had one person guess the right country first – which was MY THREE MOGGIES but our buddy, pal and friend EASY guessed EVERYTHING right before anyone else did so I hope my Moggie guys understand that he had it TOTALLY right first! Everybody who guessed Ireland though will get THIS reward!! And this one is for you Easy my Weimaraner Pal ! WOO WOO TO YOU !! I always wind up having to add some additional correct guessers to the list once my Mom wakes up and gets here on Wednesday mornings……….remember we do my next day’s blog the night before so anyone guessing later – well – don’t worry we’ll add you later today OK?????? Now I want to send a very special THANK YOU to my buddy Easy because yesterday, I received my fantabulous auction item from Mollie’s Auction for Leo! I outbid everyone else for a brand new leash but not only did Easy send me the leash I bid on, but another lighter weight kitty type leash and harness AND (are you ready for this?) a beautiful BLUE turtleneck sweater which I can’t WAIT to wear!! I’d model it for you but Mom clearly wasn’t in the mood to wrestle with me this afternoon to put it on. But I promise that I will (perhaps when I’m only half awake some time?) let her put it on me so you can see…………it looks quite BOOTIFUL with my ginger furs!!!! I’ve never EVER had a sweater before but now that I’m a cat of a certain age my old bones need some protection in the cold weather and this blue sweater is JUST THE TICKET. THANK YOU EASY MY FRIEND………..and won’t you puleeeeeeeeeze give your staff (especially the one who does the shopping) a majorly BIG Sammy hug from me?????????? Can I pretty please remind you also that Mollie is gathering together some donations for another auction to benefit all the poor folks out West in the USA who have had such horrid weather with tornados wiping out whole towns and leaving a lot of people (and animals too) homeless? 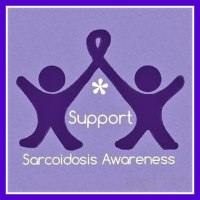 Please send photos of anything you think might make good auction donation to her and visit her blog for details OK? Now if you’ll excuse me, I’m going to go grab a nap in my afghan tent. All this blog catching up has me exhausted! A quick nap and I’ll be ready for anything! HAVE A PAWSOME WEDNESDAY PEEPS! Hey Hey Hey! It’s that time again…………dust off your computer screens, polish those glasses, turn on the lights and take a peek at some photos so you can give me your BEST guesses. 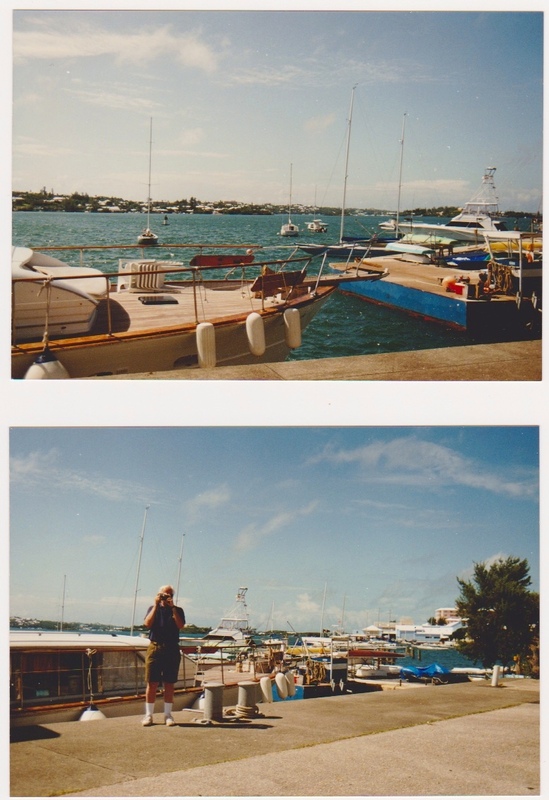 Today we have a guest teaser who has some photos for you to look at – these are NOT ones my parents took on one of their exotic vacations…….Now here’s the deal – there are TWO chances to win a BIG SAMMY HUG – Teaser #1 and Teaser #2. When you make your guess (or guesses) you must say “Teaser #1 is____________” and/or “Teaser #2 is____________” and you need to tell me where the photos were taken and what you think you are looking at in the photos OK? You just KNOW you want one or two of these! Tough huh? Well, inspect the entire photo looking for clues – and if you know where this was taken make a guess on “Teaser #1” ……………..
OK……..look long and hard and make your guess or guesses – you have all day today to agonize over them – then tomorrow I’ll have information for you as to WHERE these were taken and WHAT they are photos of! Fun? I think so! 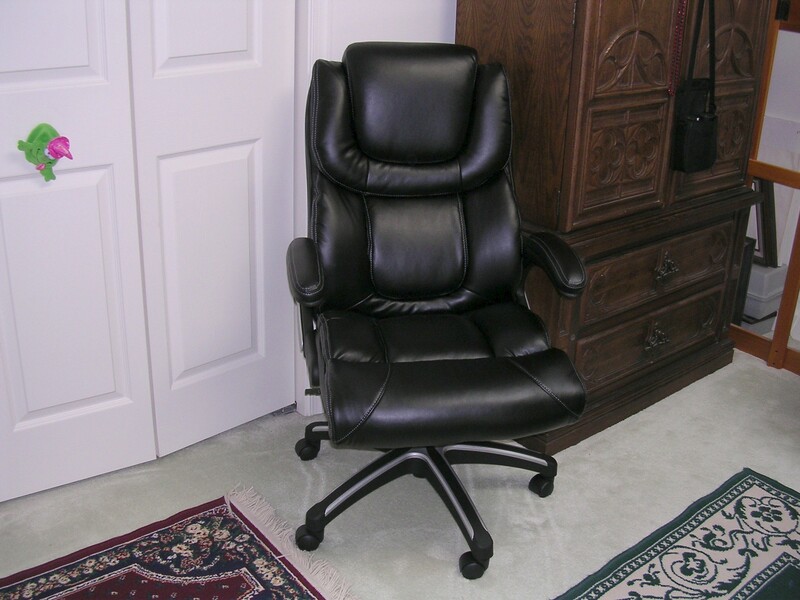 Of course I’m not having to sit and get eyestrain looking for hints in the photos – that’s for YOU to do! Now, one other bit of business…………the deadline is sneaking up for the entries in the “BEST PJs” contest ! You only have until TOMORROW – May 8th to get your photos of you in your PJs to me – because bright and early on May 9th the poll will be posted for YOU to vote for your favorite PJ buddies. 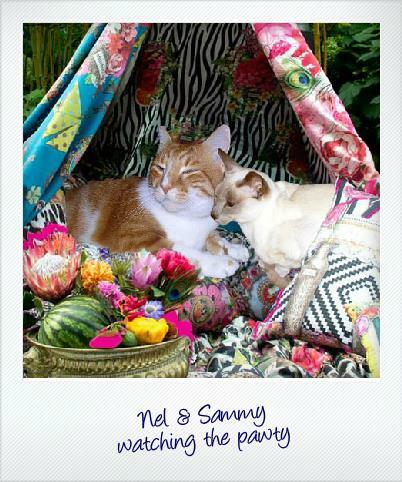 The BLOGAVERSARY PAWTY is May 10th and we’ll have two other fun contests at the pawty you can enter so be sure and come by on May 10th to enjoy snacks and have some fun – whether you’re in the PJ contest or not! 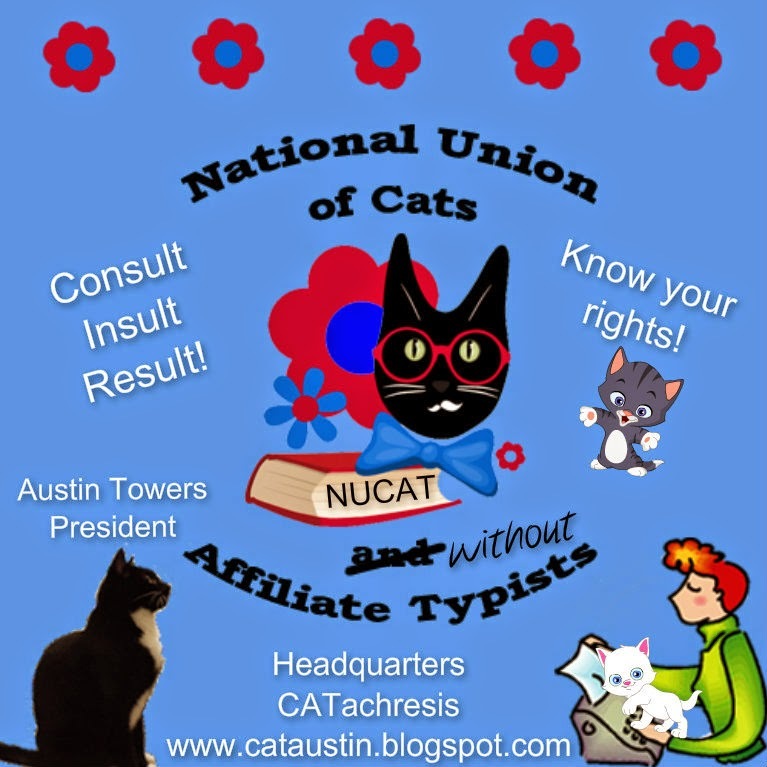 EVERYBODY IS INVITED – YAY! See you tomorrow Teaser fans !! !